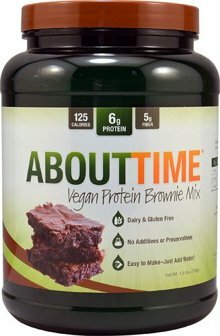 Just add water to the gluten free mix and you have some of the best tasting vegan brownies! You even get a solid 6 grams of protein per serving in this tasty snack along with only the highest quality ingredients that are free of preservatives and additives. The best part about this product is you can use this mix to make anything such as pancakes, waffles, cupcakes and other great food items!